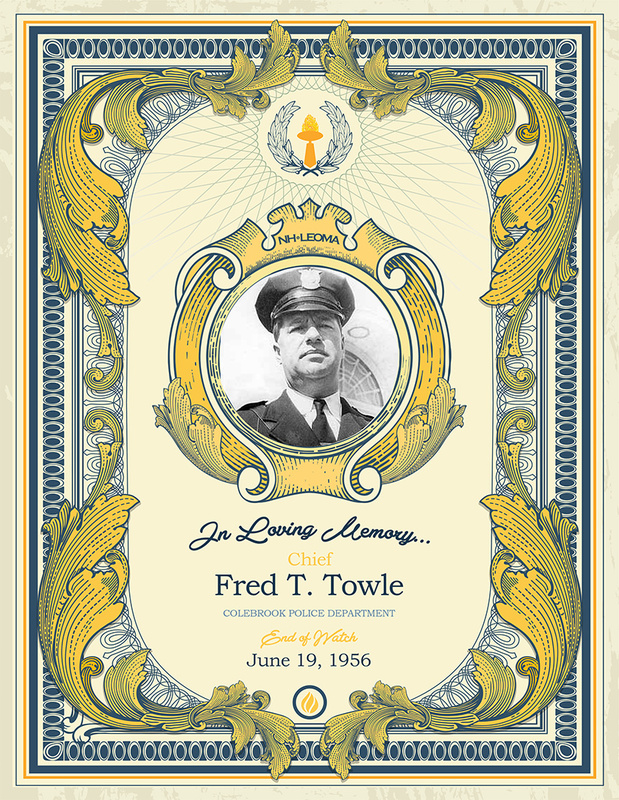 Chief Towle was born in 1904. At the time of his death he was fifty-two years of age and had been the Chief of the Colebrook Police Department for nearly ten years. On June 19, 1956, while walking down the street with his seventeen year-old daughter, Chief Towle attempted to arrest Glen Smith. As this occurred, an argument developed between Chief Towle and Smith. During a brief scuffle with Smith, Chief Towle dropped to the pavement and died, the victim of a heart attack. Chief Towle left behind his wife and their four children.